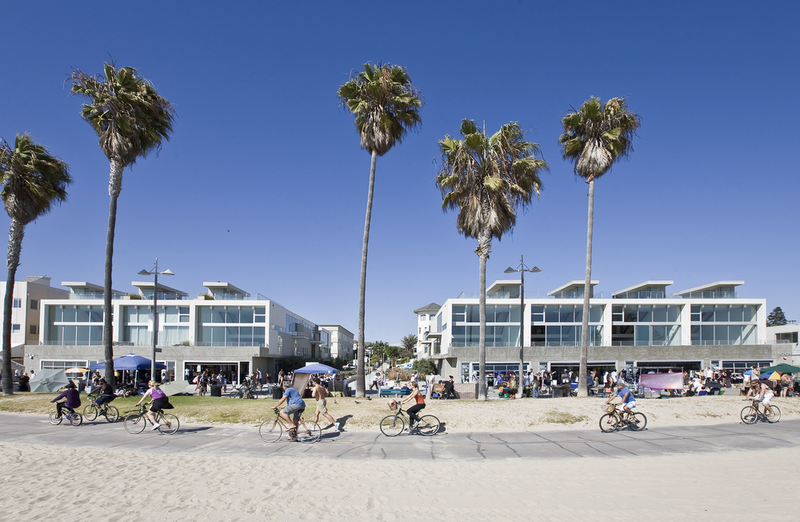 Thornton Lofts stands in bold, orderly contrast to the lively Venice boardwalk and takes full advantage of its ocean front location. The project combines 10 live-work lofts, ground floor commercial retail space, on grade parking for guests, and private subterranean parking for residents. Each residential unit features open interior space planning detailed with upscale, elegant yet durable finishes appropriate for beachside living. The majority of units are situated in an East-West orientation, and massive window frontage creates expansive views from the main and upper living areas to the ocean. Windows and balconies punctuate the length of the building, allowing ambient side lighting to flood interior spaces. The project incorporates passive solar design strategies and other energy efficient building techniques that exceed standard practices, optimize building performance, and minimize energy consumption. 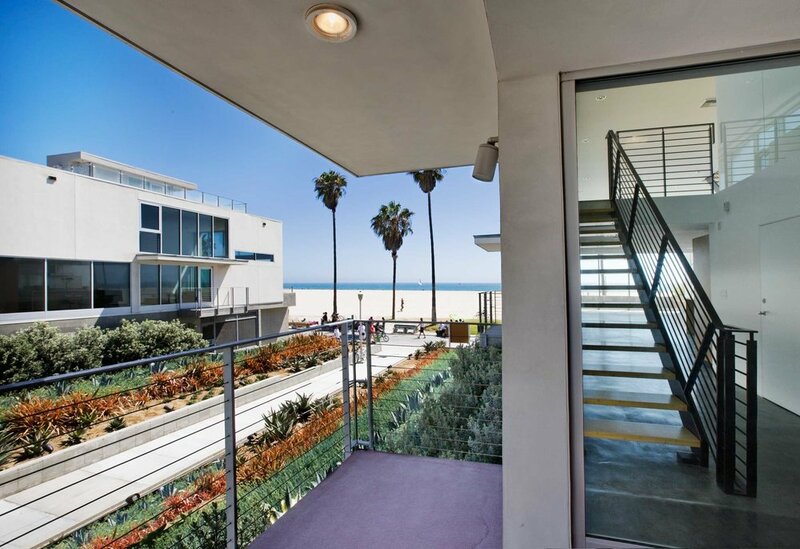 The orientation of operable windows takes full advantage of sea breezes to naturally cool the building in the summer. Large areas of southwest facing glass maximize solar gain in the winter to reduce heating costs and maximize day lighting. Other energy-saving and environmentally sustainable components include concrete and sustainable wood flooring, double-pane glass, and thicker exterior wall construction for greater insulation. All plumbing fixtures are energy efficient, including tankless water heaters. Landscaping incorporates drought tolerant plants and a below-grade automatic irrigation system with rain sensors.